As part of OPEN, artists Ellie Harrison and Roshana Rubin Mayhew will be presenting a preview exhibition of their upcoming project with Live at LICA, What is Left? 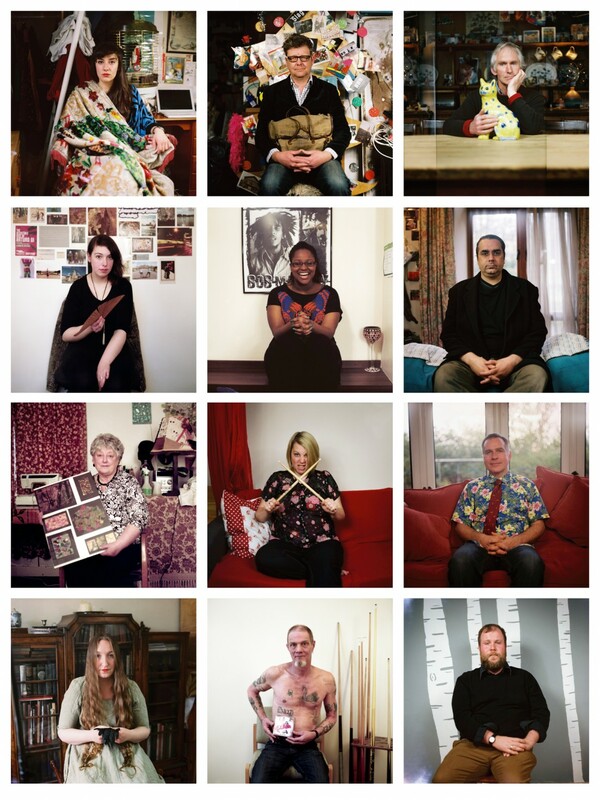 Since 2012, Ellie and Roshana have been visiting members of the public in their own homes, around Lancaster and the broader region, to take photographs of them with, and to interview them about objects they have inherited from people who have died. Hand printed portraits, audio recordings and transcribed text booklets from the interviews combine with bespoke viewing chairs to create an intimately powerful experience for the viewer. Two portraits from the project will be shown during OPEN in the Peter Scott Gallery, along with information about the forthcoming main exhibition due to take place in an empty house in central Lancaster between 19 May and 16 June 2014. Both the preview and full exhibition are FREE to attend. What is Left? is a national project taking place across Lancaster, Barnsley, Stockton and Portland which will see Ellie and Roshana work with over 50 members of the public and stage a tour of exhibitions in empty houses during 2014. What is Left? forms Part 3 in Ellie Harrison's larger body of work, The Grief Series. The Grief Series is a sequence of seven projects responding to a grief model from popular psychology which see her collaborate with a different artist at each stage. Encompassing a range of practice from performance to film, installation to photography, the core aim of the series is to create safe spaces in which audiences can explore notions of grief and bereavement through becoming participants, collaborators and even co-creators of the work. Presented as part of OPEN: 6-10 May 2014. 11am - 5pm (4pm on Sat).